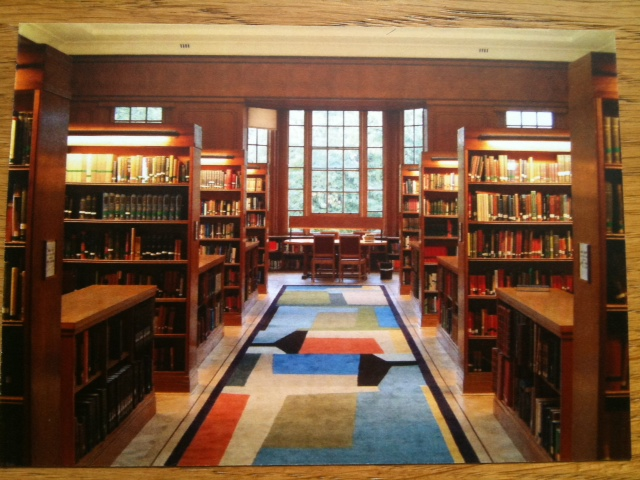 Our students return/begin next month, and this year I have designed postcards which will be given to all of them as a welcome and as a publicity tool for the library. SOLO is the interface to the main library catalogues at the University of Oxford. 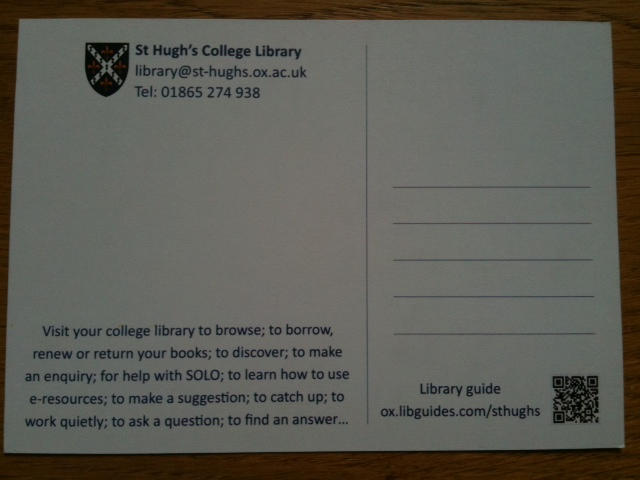 The QR code points to the online library guide. Well done, it looks really good. I could see this in a CILIP portfolio (so subtle).